One of our favorite websites is freecampsites.net. It’s a great resource for little-known, tucked-away places to camp that are free of charge. We like these spots especially on summer weekends when state and national parks can be tough to get into without reservations or when there isn’t a Harvest Host option in the area. The website provides a nice alternative to Walmart and Home Depot parking lots – which we’ve also enjoyed on occasion. Here’s the freecampsites.net recommendation we enjoyed one night last week just outside Mackinaw City, Michigan. Shortly after I took this photo, however, our stay became a bit more “exciting” than we would have liked. More about that in a minute. 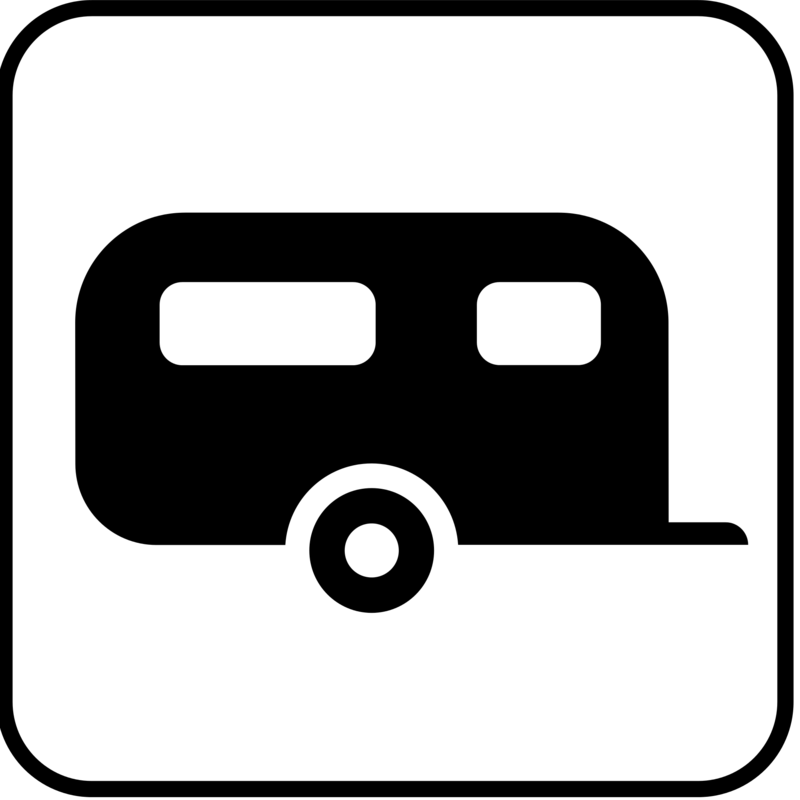 We’ve stayed at other freecampsites.net-recommended sites in Louisiana, Florida, Pennsylvania and New York. One of our early favorites was last March, just 18 days into our Year on the Edges of America. This photo was taken at a spot in the Attakapas Island Wildlife Management Area along the Atchafalaya River in southern Louisiana. We couldn’t believe our luck that time. The area had several water faucets, new-looking picnic benches in a lovely meadow that could comfortably and spaciously hold a half dozen campers. It was just us and a solitary tent camper that night (“I’m a semi retired teacher…with a heart condition.”) We even had cell service. It was our 19th anniversary. Last Thursday, we pulled into the website-recommended Michigan site about 6 p.m. after a long and leisurely day of driving the beautiful Lake Huron shoreline. There were six designated spots, well spaced for privacy, at the end of a mile-long dirt road leading to French Farm Lake. We carefully maneuvered our rig into the one closest to the picturesque point of land jutting into the lake, and settled in for a quiet evening of star gazing and fire stoking. First we went for a little walk at dusk. Here’s a short video of the view of the lake from the point – a spit of land jutting out into the lake – by our campsite. Here’s an even shorter video of a visiting bumble bee. Here’s the fire we built. We enjoyed leftover coq au vin for dinner. Some dishes are even better the second time around. Darkness settled in sometime after 9 p.m. The stars were beautiful. It was cool. While our friends and family are sweltering in the Dallas heat, we donned jeans, sweaters, light jackets and boots to recline in our zero-gravity chairs…. The only distraction was the tan (or was it gray?) car, shaped a bit like a PT Cruiser, that suddenly raced out of the campsite at the other end of the turnaround and down the dirt road back toward the roadway leading to town. There was somebody riding on top. Lots of laughter and shouting…. We assumed it was a bunch of kids who’d had too much to drink having a good time, and that eventually they’d fall into an alcohol-induced stupor, leaving us to the quietude of the stars and our fire…. Moments later, another car, this one red, burst out of the turnaround area in a hurry, headed in the same direction as the one before it. Indeterminate loud conversation. A female voice exhibiting fluency in F words…..
About 30 minutes later the tan car came racing back, with said person still riding atop. More laughter and shouting. Another car came and went. A bonfire blazed in the distance…. A shot rang out. Sounded like a .22. Or was it a firecracker? An engine backfiring? The forest returned to peace and quiet. Must have been quite a party…. We resumed our star-gazing and fire-stoking. Sometime after about 11 p.m., a police car roared down the road – no siren but lots of lights. It was followed a few minutes later by a fire truck, and the truck by an ambulance. More voices, these muffled. Flickering lights amid the shadows of the moonlight. What’s going on, we wondered? Was somebody hurt? Was there foul play? Should we help? Are we in danger? The dark forest suddenly seemed less comforting, more ominous. Then we got curious. We left the comfort of our crackling fire and climbed the small hill overlooking the turnaround to get a better look. We huddled behind a tree a few dozen yards from the commotion, peering into the night to try to figure out what was happening. Clearly the officials were looking for somebody – or something. We could make out a half dozen search-light wielding figures pacing the 50-100 yards from the turnaround to the distant campsite with the bonfire, back and forth. Hushed voices. Peering out from behind a tree, whispering our observations to one another … suddenly I had to pee. I returned to the trailer for a pit stop; G re-stoked our fire. Minutes later, a police car pulled partway into our site, headlights blinding. A young officer got out. Sorry to disturb you, he said. Have you witnessed anything unusual here tonight? You mean besides the police car, fire engine and ambulance? Well, yes, as a matter of fact. Kids, noise, a car racing out and back too fast – with somebody on top. Another car. Profanity. A bonfire. A gunshot or firecracker…. The whole interview probably took about 10 minutes. Officer Ryan couldn’t have been more thorough or polite. He asked us what we heard and saw, where we were from, and thanked us for our cooperation. I’m not sure we were much help. Turns out the camper across the way was involved in a longstanding dispute with a group of others. When he left his campsite, they burned his tent and equipment to the ground. He feared for his safety, hence the 911 call. These weren’t kids, according to Officer Ryan. They’re probably closer to 30 than 18…. It didn’t seem as though anybody was hurt. The officer dodged our question about the gunshot we heard. He asked for our ID and urged us to repeat our observations if a sheriff’s deputy called with any follow-up questions the next day. He left. A few minutes later one of the other official vehicles left. A search of some sort seemed to continue for another 30 minutes. Eventually, even those stalwarts with flashlights departed. Quiet returned. But now an air of suspense wafted through the solitude. G and I peered into the fire for answers, making up stories about what might have transpired…. The camper couldn’t have been a fugitive because he’s the one who called the cops. So what did he do to spark the ire of the others? Steal a car? Date the wrong girl? Abscond with drugs? The closer we got to the bottom of the bottle of wine, the more bizarre our stories got…. Eventually, we simply resumed our fire gazing … and drifted off to sleep in our zero-gravity chairs. Sometime after 1 a.m. we roused ourselves and retired to the Casita. Not exactly the sort of free campsite experience we had in mind. But definitely one to remember. Best short mystery story I’ve read in years. Hope I sleep okay here tonight. For clarity in understanding your Thursday adventure/brush with death, I direct your attention to the Kidd Rock song All Summer Long, about his hoodlum days in Northern Michigan. I’m not sure I would have been able to sleep very well after all of that excitement. Never a dull moment with you two! So enjoy reading the updates. Stay safe!! Next A funny thing happened on the way to the sanitation station….